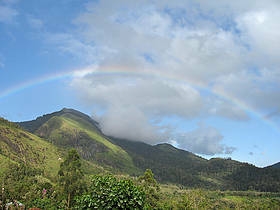 The hill ranges of the Western Ghats, a global biodiversity hotspot, extend along the west coast of India from the river Tapti in the north to the southern tip of India. Their positioning makes the Western Ghats biologically rich and biogeographically unique - a veritable treasure house of biodiversity. Though covering an area of 180,000 square kilometres, or just under 6% of the land area of India, the Western Ghats contain more than 30% of all plant, fish, herpeto-fauna, bird, and mammal species found in India. Many species are endemic, such as the Nilgiri tahr (Hemitragus hylocrius) and the Lion-tailed macaque (Macaca silenus), in fact 50% of India’s amphibians and 67% of fish species are endemic to this region. The region has a spectacular assemblage of large mammals - around 30% of the world’s Asian elephant (Elephas maximus ) population and 17% of the world’s existing tigers (Panthera tigris) call this area their home. Protection for these is extended through several nationally significant wildlife sanctuaries, tiger reserves, and national parks. The Western Ghats include a diversity of ecosystems ranging from tropical wet evergreen forests to montane grasslands containing numerous medicinal plants and important genetic resources such as the wild relatives of grains, fruit and spices. They also include the unique shola ecosystem which consists of montane grasslands interspersed with evergreen forest patches. The Western Ghats perform important hydrological and watershed functions. Approximately 245 million people live in the peninsular Indian states that receive most of their water supply from rivers originating in the Western Ghats. Thus, the soil and water of this region sustain the livelihoods of millions of people. With the possible exception of the Indo-Malayan region, no other biodiversity hotspot impacts the lives of such a large population. Historically, WWF-India has had a reasonably strong presence in the region. The organization has been actively involved in the Western Ghats region since the early nineties through the Biodiversity 'Hotspots' Conservation Programme (1993-2005) with support from the MacArthur Foundation and the Ford Foundation. 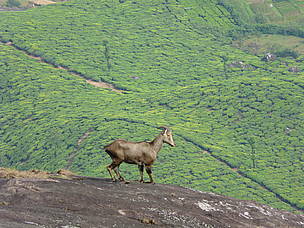 The main focus of work at present has been to identify and map critical wildlife corridors, mitigate human-elephant conflict, strengthen protected area management, promote sustainable livelihoods and assess the status of key species like the tiger and Nilgiri Tahr outside protected areas to develop conservation strategies. A strong set of relationships and partnerships has been developed with state and local government authorities, civil society organisations and community groups in the region.